Forums » General Discussion » Stereo » Something I am proud of. #370745 - 03/23/12 11:22 AM Something I am proud of. I only recently have a receiver with room correction. Part of my stereo enjoyment is moving my speakers around and listening for a few days and then moving them again. Experimenting, refining what I thought sounded the best. Here is a picture of my M80's in my room after room correction in the spots where I felt they sounded the best. I did not think much about it until I started moving things around and rerunning MCCAC. The graph would change dramatically with small movements of toe or position. It was just a good feeling to see what I could do with my own two ears and diligence. I also got help from a room calculator that suggested starting points. It has me excited to see what I can correct with room treatments at the higher frequencies. I know that the receiver correct for more than what the picture shows, and I do like the correction. But I need to learn more about it. Yesterday, I put my M3's on top of the 80s, turned off the room correction and watched 2 episodes of Game of Thrones. I was blown away by the quality of those M3s yet again. I am going to experiment more this weekend. However you enjoy our silly little hobby, have fun my friends. One thing I noticed with my VP160, was how flat this graph was in my MCACC settings. This probably means that the placement of the speaker and the room furnishings at the time of calibration was optimal. 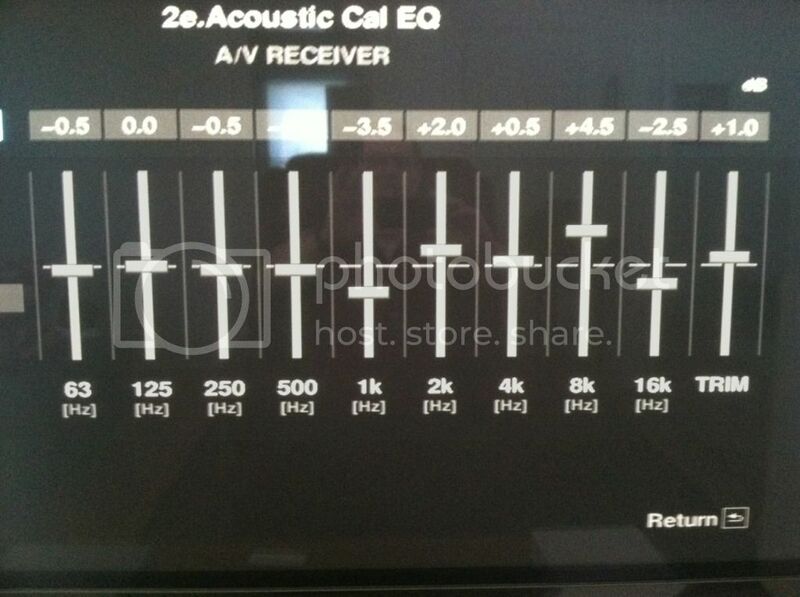 But it's nice to know that no equalizer calbration was necessary for it. Those M3's are still pink, though, right? Excellent, Chris! Very reaffirming to have the graph confirm what your ears already told you.